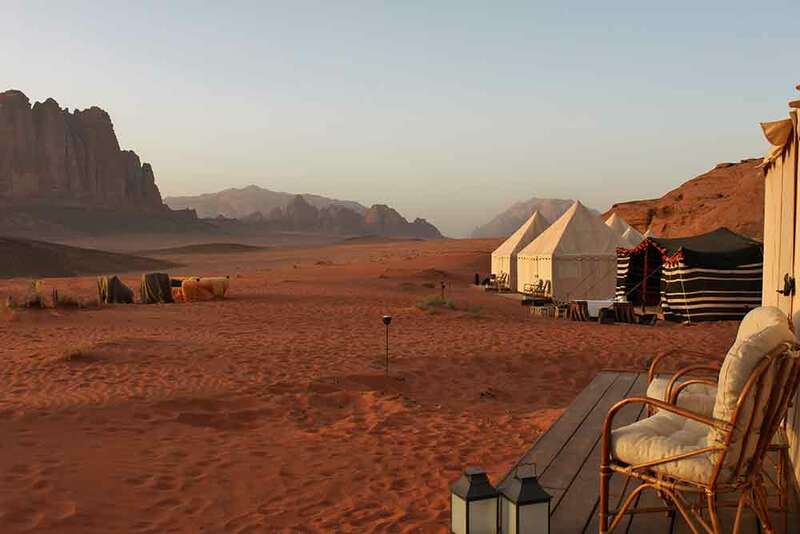 Set amidst the sensational red desert landscape of Wadi Rum in southern Jordan, this exclusive camp boasts just six tented suites complete with ensuites and private decks. 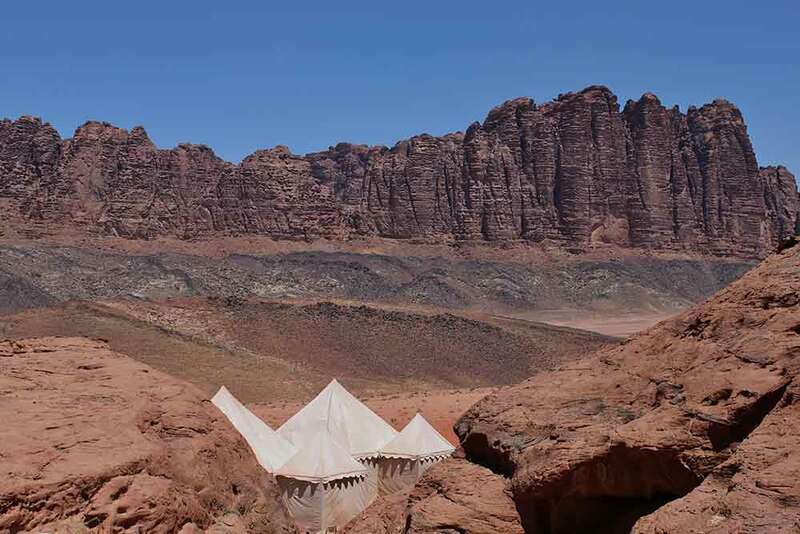 The stylish Bespoke Hideaways is the perfect property for those looking to combine outdoor adventure with luxurious comfort. 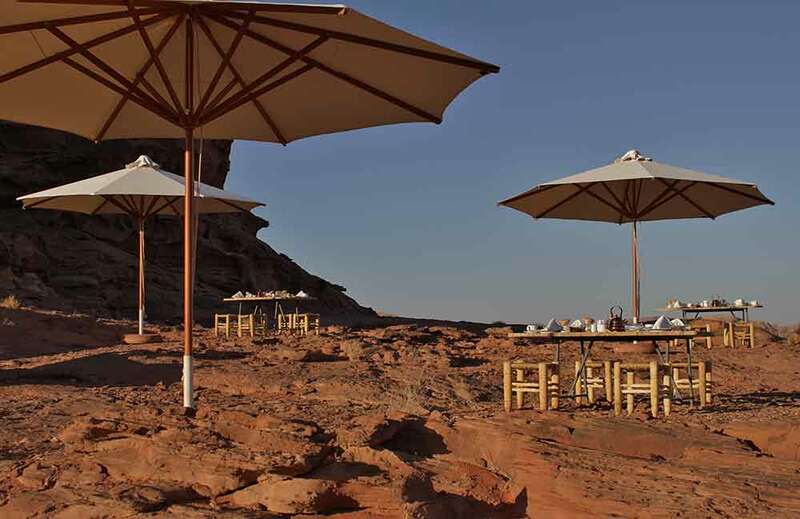 You’ll spend your days exploring the stunning surroundings on camel, hiking and 4x4 excursions, uncovering dramatic sandstone mountains, rocky caverns and ancient carvings along the way. 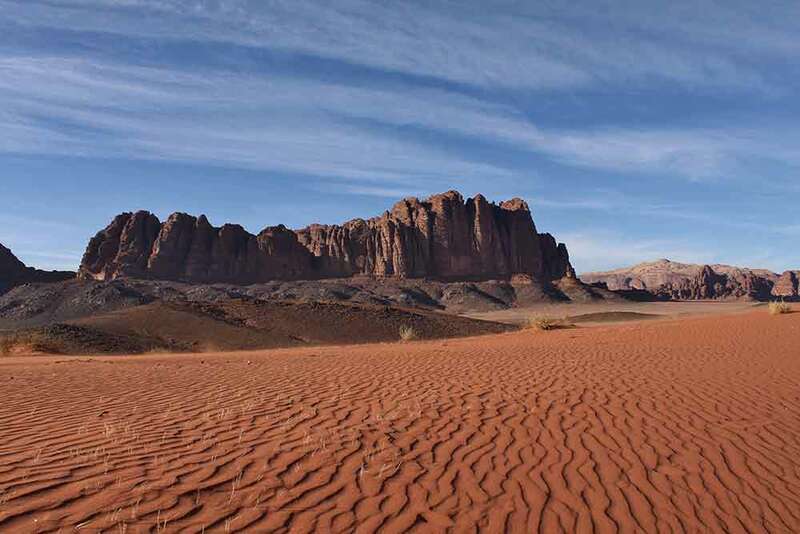 Opt for a balloon or microlight flight to really appreciate the desert’s vastness. 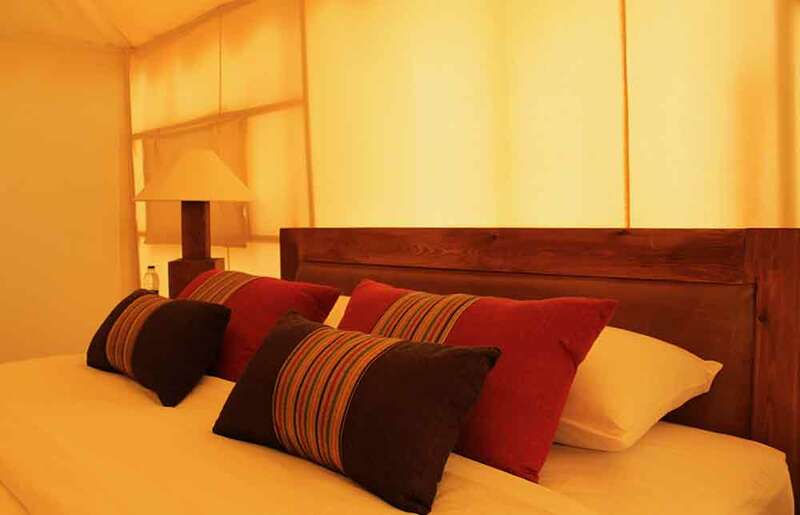 When you return to your tastefully decorated suite you’ll be welcomed by a plush bed and ensuite bathroom with a walk-through rain shower and copper sink. The decor, whilst simple, is elegant with elements of traditional Arabic design. 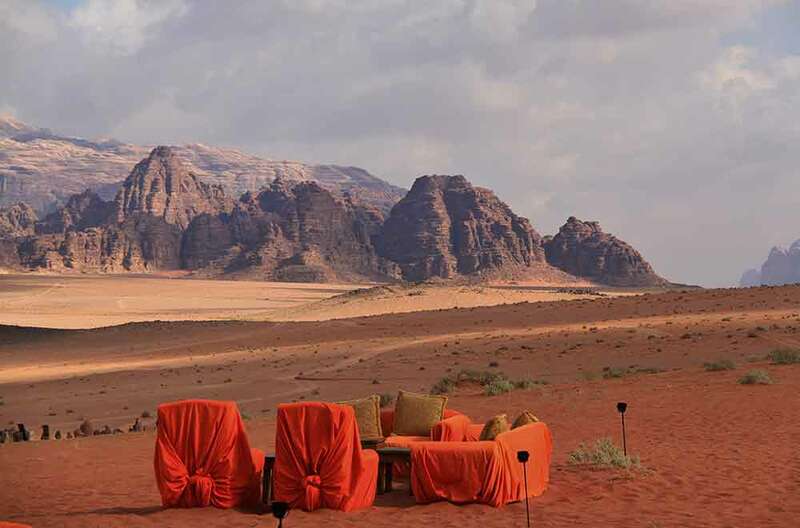 Purposefully positioned in order to make the most of the desert’s stunning sunsets, each suite has its own private deck where you can drink in the sweeping sands by day and starry skies by night. 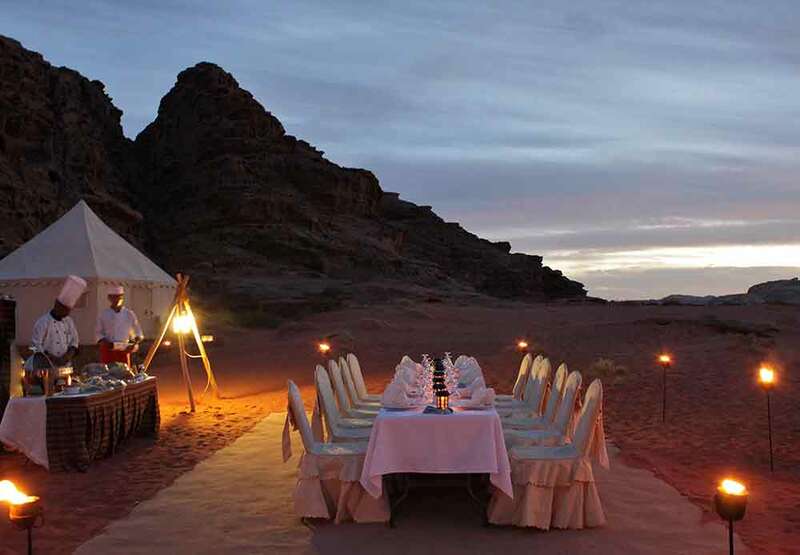 For dinner, you’ll enjoy authentic dishes inspired by the region in either the main Bedouin tent or al fresco.